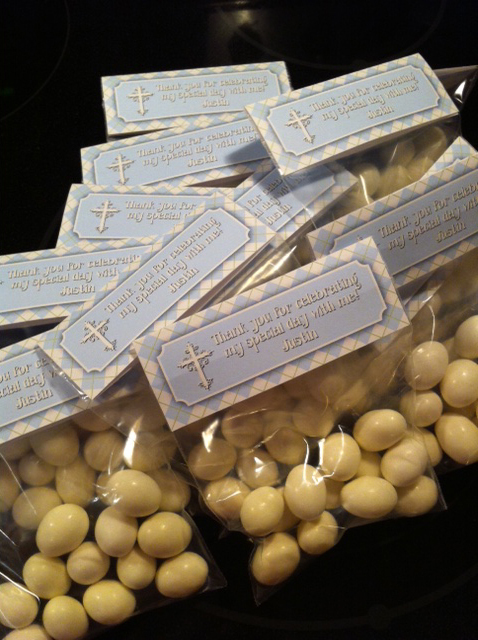 I was so excited to get to work with one of my clients for her sons Baptism! It is always nice to collaborate with a client to turn their vision into reality. 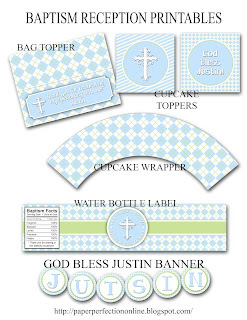 Amy knew that she wanted light shades of blue and green and an argyle pattern for Justin's baptism printables. 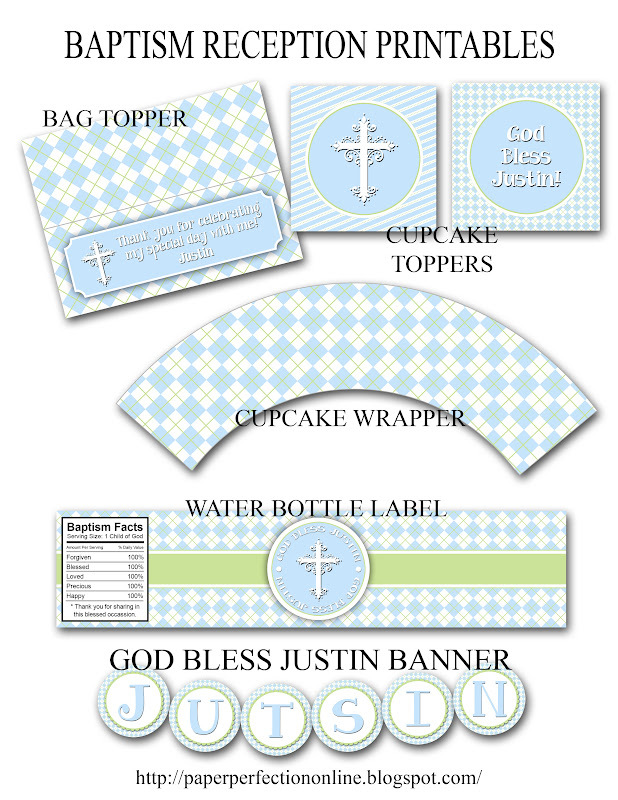 Together we designed a bag topper, cupcake toppers/wrapper, water bottle label and a banner for her party. 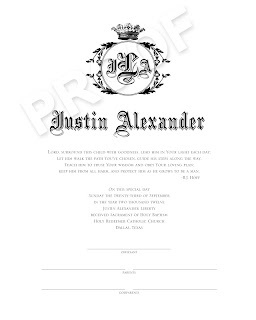 I also created this certificate. 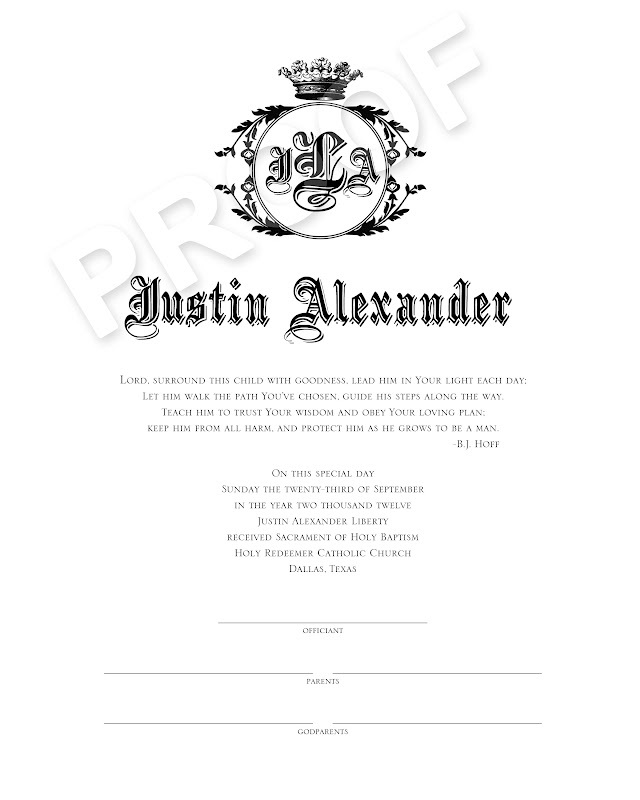 Even though most churches provide families with a special certificate, I thought I would design one as well that could be framed for Justin's room or placed in a scrapbook after the special day. The most exciting thing for me was receiving these pictures from Amy. 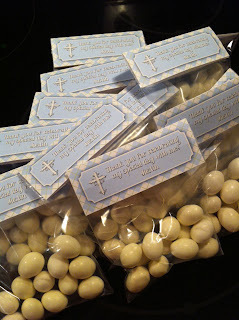 I just love to see how my printables turn out and these turned out amazing! 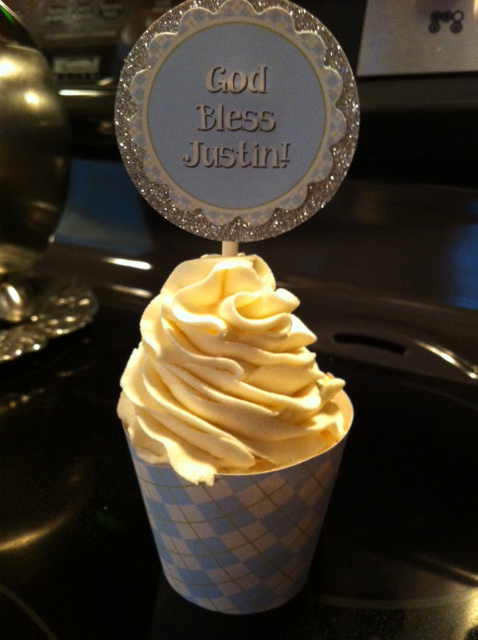 I love the sparkly paper that she used to add a little bit of extra glamour to the cupcake toppers that I designed. If you have a special event in your life and would like to work together to create a few fun printables, contact Paper Perfection at jtanddolly@yahoo.com for pricing and details.